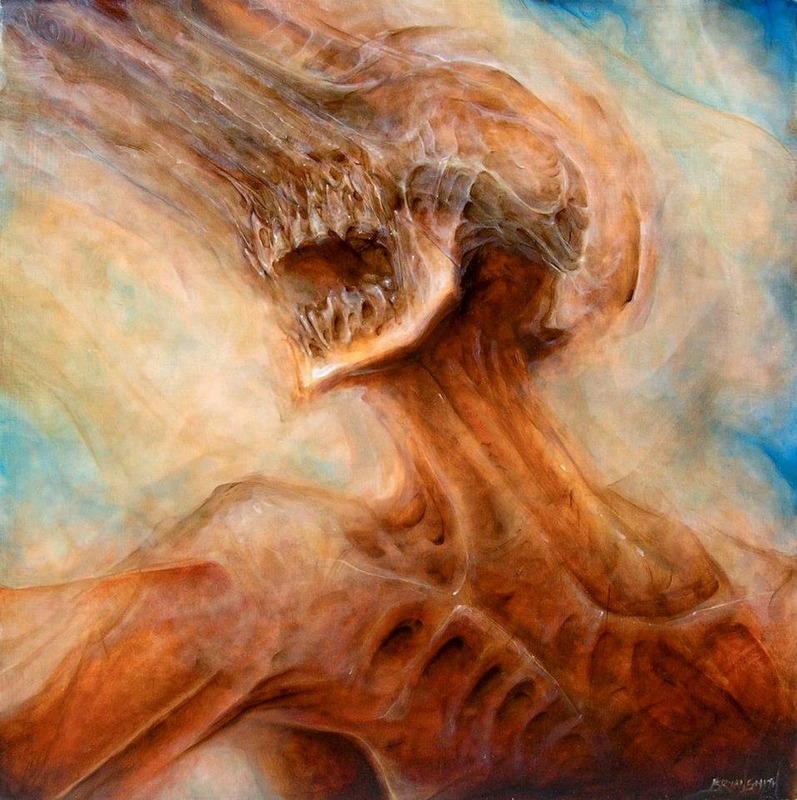 Horrendous is a three piece from America’s East Coast which was formed in early 2009 due to a “fascination and utter obsession with the old school.” By the summer of 2009 they had recorded and released a demo entitled “Sweet Blasphemies” which they sold independently on CD-R via their Myspace page. It wasn’t long before they attracted attention from record labels and by mid-2010 they were signed to both Skeleton Plague Records and Dark Descent Records who co-released Sweet Blasphemies on cassette in an initial press of 200. The first pressing sold out in a couple of months and a subsequent repress followed soon after. The band then began working on a debut full length album entitled The Chills which was released via Dark Descent in early 2012 to widespread praise. This October will see the release of Ecdysis which is their second full length album, also being released via Dark Descent. Decibel magazine gave the world its first taste of the new album by posting the premiere of Nepenthe which garnered a lot of positive feedback and increased anticipation about the album’s release. The album was recorded, mixed and mastered at Subterranean Watchtower Studios and the album’s eye-catching cover was designed by Brian Smith. Categorising Horrendous’ sound is quite difficult, yes their beating heart is rooted in Death Metal but this is a very diverse album which has an ever shifting variance between dynamics, style and sound although this is where the beauty and brilliance of this album lie. Tracks such as Weeping Relic and Resonator are more up-front death metal influenced tracks yet others differ completely. For example, When the Walls Fell is an instrumental littered with guitar solos that sound like they’ve been plucked from a heavy metal as opposed to death metal album yet it works perfectly within the album. Never sticking to any given style for too long, from track to track Horrendous are a shape-shifting, ever changing band with a depth and vision that sounds like a completely different band a number of times during the album. The production is very clean and professional with the drums featuring quite prominently at times, the guitar solos throughout also benefit from the enhanced production although the album never sounds too clinical or polished. Track five, The Vermillion is another example of Horrendous’ divergence in sound, a three minute acoustic instrumental that showcases a more gentle side yet further heightens the variety of sounds on offer. Many bands include instrumentals merely as fillers or use them as intros to tracks with many sounding like a hasty afterthought - this is anything but the case with Horrendous, this is a heartfelt, spirited and beautiful track that sits perfectly within Horrendous’ inventive soundscape. Granted this is quite a different style of music to what I’d usually listen to, but it’s a thoroughly enjoyable listen nonetheless; their fluctuation between styles and sounds is an indication of the band’s ambition and scope – a brave musical vision from a very talented band. Horrendous' Ecdysis is released by Dark Descent Records on vinyl and CD, on the 14th October 2014, and is available for pre-order now.